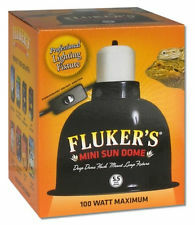 Home > STORE > LIGHT FIXTURES > FLUKERS MINI DEEP SUN DOME, 5.5"
Deep Dome Flush Mount Fixture. Extra long reflector dome extends beyond the bulb. Highly polished aluminum inside to increase UVB & UVA output. 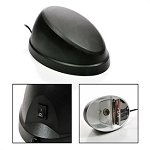 100 Watt Maximum bulb compatibility.